To give more time to plan your trip to Estonia and register to Tallinn O-week, we decided to prolong the early bird registration deadline until 8th of April. There is road construction in Kambja (on Tartu-Võru road) and in Võru. Make sure you have enough time! In 2017 Nokian Tyres World Orienteering Championships will be held in Estonia. To support this awesome event, Tallinn Orienteering Week will take place in South Estonia at the same time with WOC as the public event and will be renamed to Estonian Orienteering Week. 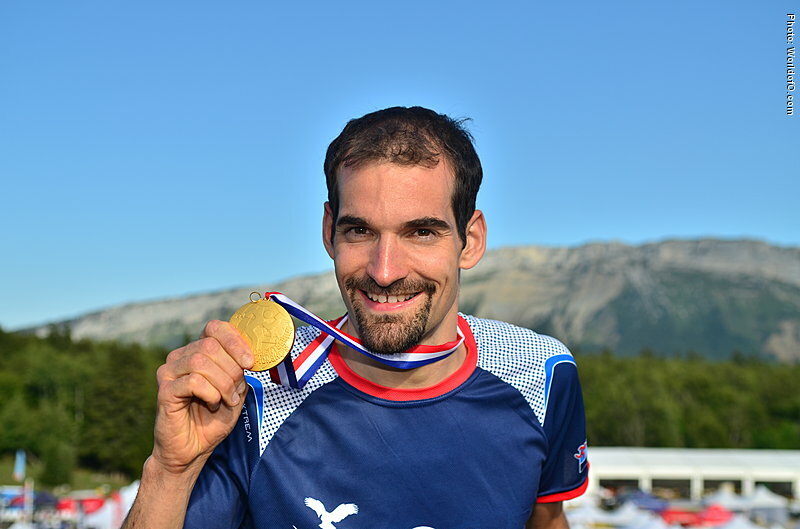 Organizers of this event are same as in World Masters Orienteering Championships 2016. In 2017, Nokian Tyres World Orienteering Championships will be held in Estonia. To support this awesome event, Tallinn Orienteering Week will take place in South Estonia at the same time with WOC as the public event and will be renamed to Estonian Orienteering Week. World Masters Orienteering Championships is held in Estonia on the same time as TOW! Come and take part in the biggest Estonian Orienteering competition in 2016. Tallinn O-week 2016 fires its start shot on the 7th and finishes 13th of august. REGISTRATION:http://tow.ee/en/2016/registration/First registration round ends on the 28th of March. Parallel to Tallinn O-week, World Masters Orienteering Championships WMOC2016 is taking place in Estonia with thousands of participants from all over the world. And to add a little bit more flavour, according to Lonely Planet Estonia is the number one destination to visit in 2016. Tallinn O-Week overall W21A winners were Maija Sianoja and M21A Florian Schneider. Congratulations to Tallinn O-Week winners! Maija Sianoja form Finland got the first place in W21A class with 34:25, followed by Helen Palmer (37:22) from Great Britain. Lisa Holer from Switzerland was the third one. Nikita Stepanov from Russia got the first place in M21A class with 36:05. Jonas Egger from Switzerland was only 13 seconds behind and got second place. Olle Kärner from Estonia was the third one with 37:31. Today was the third day of Tallinn O-Week 2015. The Tallinn City Race competition was held in Tallinn city centre. Maija Sianoja form Finland got the first place in W21A class with 26:06, followed by Tuulia Viberg (+44 seconds), who is also from Finland. The third was Helen Palmer from Great Britain (+1.03 minutes). Tristan Bloumer from Belgium got the first place in M21A class with 28:06. Nikita Stepanov from Russia was only five seconds behind and got second place. Christoph Meier from Switzerland was the third one with 28:26. After the race there's a fun Pub Rally in the Tallinn's Old Town. It's a great chance to mingle with other competitors. Organising team visited our main sponsor "Printcenter" to see how the last maps for Tallinn O-Week are rolling out from printer. The forth day of Tallinn Orienteering Week takes us to Keila-Joa. Keila-Joa is famous for its manor from 17th century, seaside and waterfall. Keila waterfall is the third most powerful waterfall in Estonia. The landscape consists of a seaside pine forest with good runnability including many roads and paths. The registration of Tallinn Orienteering Week ends today. Don’t miss out this opportunity and register now! Tallinn Orienteering Week starts next week, 3rd August, with the sprint distance at Tallinn Zoo. During the week there are regular O-events in Pirita and Keila-Joa and Tallinn City Race at Tallinn city centre. Week ends with middle distance and 100CP run in Nelijärve. In addition there is a opportunity to run a marathon during the week. Plus there is a fun pub-rally in Tallinn's Old Town on Wednesday evening. It's a great chance to mingle with other participants. Come and take part in the biggest orienteering event in Estonia! Tallinn Orienteering Week is waiting for you. Tallinn Orienteering Week 2015 starts in less than 2 weeks and we are really excited about it. Today we are happy to introduce Timmo Tammemäe, the event director of TOW 2015. We asked him some questions about the competition. Why should people take part in Tallinn Orienteering Week? Orienteering Week is the biggest orienteering event in Estonia. It is organized by really fantastic and cheerful people, who will give everything in their power to make this event positively memorable. Every year we choose the best terrains in Northen Estonia for these six days and we update or draw entire new maps for the competition. As organizers we would like to offer full service for the participants: good competition info, startlists, correct driving directions and signposts, parking, visually beautiful centre, competition info on stand, mandate, tent for competitors, speaker, child care, course for small children, WC, map for warming up before start, top-quality O-course, water points, check with the results at the finish, online and on the stand results, GPS, luggage area, eating opportunities, awards for the best, photos from photographers etc. Plus we offer a great opportunity to spend a cultural vacation. We have put together a cultural programm for the competitors. What will be missed out by not coming? They will miss out on great experiences, meetings of the orienteering community and all the things I mentioned above. Tell us a memorable story from some previous Tallinn Orienteering Week events. There are some good stories from every year. A lot of them are related to organizing the competition. For example when some problems have been solved quickly and smoothly. But… we have also received praise from a foreign participant: "All of this was excellent, and especially impressive for such a small orienteering club with 50 members". At that time, there were only 15 members in SK100 club. Or another time at the prize giving ceremony, where a French woman asked after the handshake: "But where is the kiss?!". Naturally the mistake was corrected :). The registration for Tallinn Orienteering Week ends 27.07.2015. Starts are in the evenings. Sign yourself up and come to the biggest orienteering event in Estonia. If you can’t take part in all six days, then choose the days you can! Registration for Tallinn Orienteering Week 2015 ends in less than a week! The third day of Tallinn Orienteering Week takes place at Tallinn city centre. Tallinn city centre has a highly variable terrain of streets and small parks. The terrain consists of three different parts: a modern city with high towers, areas of large buildings from the 1950s and several districts of old wooden buildings. Tallinn city centre is the place, where past and present mingle. The second day of Tallinn Orienteering Week takes us to Pirita. Pirita is famous for beautiful forests, coastline and interesting places, such as yachting harbour and more than 600 years old Pirita monastery. There are also great running and cycling grounds. Come to Pirita and enjoy the fresh sea breeze! Tallinn Orienteering Week 2015 begins with the sprint distance at Tallinn Zoo. Zoo is truly exciting venue. Tallinn Orienteering Week 2015 begins with the sprint distance at Tallinn Zoo. Zoo is truly exciting venue. The collection of Tallinn Zoo includes more than 10,000 specimen of 500 species along with African elephant, Amur tiger and polar bear. Tallinn Zoo holds the best collection of mountain goats and sheep in the world. Bring your family and spend a great evening at the Zoo! Early spring is already offering possibilities for snow-free orienteering. It is hereby appropriate to remind you that the first registration date for Tallinn Orienteering Week is up already in few days. It is possible to register for a discounted price until March 1 - http://tow.ee/en/2015/ . Sari Nurmela (37:12), won the first place in W21A, Laura Robertson (38:28). got the second place and Liis Johanson(38:48) was the third one. Lauri Sild won the first place in M21A with 35:45, followed by Timo Sild 36:56) and Mikko Huhtinen (38:48). You can see more results from here. 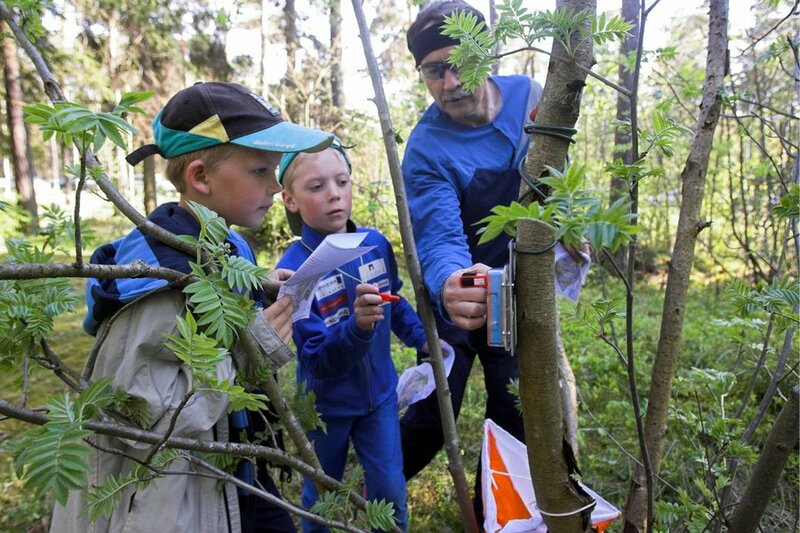 Today was the first day of Tallinn Orienteering Week 2014. The competition started with an interesting sprint race what took place in Estonian Open Air Museum. Liis Johanson won the first place in W21A sprint distance with 14:25, Jenny Paulin (+44 seconds) got the second place and Laura Robertson (+54 seconds) was the third one. Severi Kymäläinen won the first place in M21A sprint distance with 13:28, followed by Tim Robertson (+4 seconds) and Mårten Boström (+11 seconds). Tallinn Orienteering Week 2014 starts today! Are you ready?! TOW 2014 starts today! See you at Estonian Open Air Museum tonight! TOW 2014 has already 597 participants from 22 different countries! See you all on Monday the 16th of June! Skypark is giving away 10 family passes to Tallinn Orienteering Week's fans! We have already 168 participants from 11 countries! Due to the fact that World Masters Championships 2016 take place in Tallinn then the O-Week City Race will not take place in the Old Town in 2014 nor in 2015. The race will be held in the city center and the terrain will cover the modern City-area of Tornimäe, the 1950’s city blocks in Sibulaküla and areas with wooden houses near the Maakri and Tatari streets. A new map will be drawn for these races. The event centre will be located on Vabaduse square, which is not an embargoed area and is approachable through an underground passage. In addition to that, a completely new map will be drawn of the Keila-Joa area (terrain for O-Week final) and all the other maps will be renewed. We hope to see many participants! Registration for Tallinn Orienteering Week 2014 is open! Tallinn O-Week 2014 takes place June 16-21 in Tallinn, Estonia. During the course of six days the competitors will have the opportunity to participate in 4 high-class competitions and 2 regular events. World Ranking points are given on Monday and on Friday. Tallinn Orienteering Week offers the participants a comprehensive package with transportation to and from the events that take place outside Tallinn, a booklet about a large variety of cultural events in and around Talinn, information and deals on housing. According to tradition, we also organize the Pub Rally on Wednesday evening. Tallinn O-Week 2014 is an excellent opportunity to start the preparations for WMOC 2016, which takes place also in Tallinn and is organized by SK100. The organizers provide extra training opportunities specifically for WMOC. Winner of Tallinn O-Week sprint 2013 just won World Championship title. The only Estonian who defeated the foreign runners on Tallinn City Race was Ats Sõnajalg. Tallinn City Race which is part of Tallinn Orienteering Week brought half a thousand people from 19 different countries to compete in orienteering in Tallinn old town. The longest course (8,5km and 29 checkpoints) was won by local sportsman Ats Sõnajalg. His winning time was 37 minutes and 25 seconds, leaving second place Brian Kelly behind by 9 seconds. 21 seconds behind the winner the third place was taken by Juho-Matti Taivanen, the younger brother of multiple world champion Olli-Markus Taivanen. In women’s class the first place went to Swedish woman Felicity Brown who covered the 6,9km and 27 checkpoints with 34 minutes and 46 seconds. Junior world championship silver medal winner, SK100 member Šarka Svobodna (Czech) had to settle for second place, losing 42 seconds. The third place went to Rugh Holmes from Great Britain. Next event in Tallinn O-Week will be on Thursday in Laulasmaa. O-Week finals will be held in Paukjärve on Friday and Saturday.